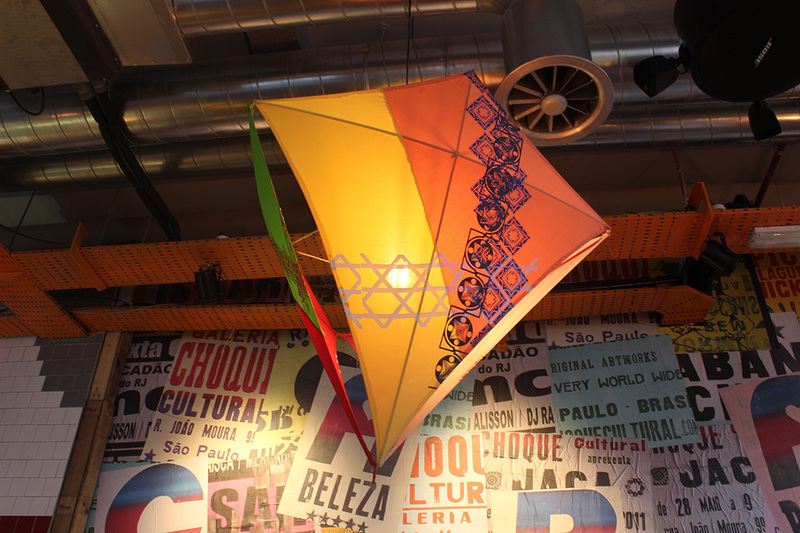 Cabana is a UK based restaurant aimed at bringing a taste some of the amazing and varied cuisine found across Brazil. Having got the taste for Feijoada, Churrasco, Kibe’s, Farofa and tropical fruits such as Acai on my Brazilian travels this is the place to get that fix. Since the first Cabana site opened my interest was peeked since as part of the decor they were using Lambe Lambe posters as wall decoration and these woodcut posters were already a fascination of mine. Having got to know the owner of the restaurant through this shared passion and also through my interest in all things Brazilian and especially Brazilian art we looked for a way to collaborate. 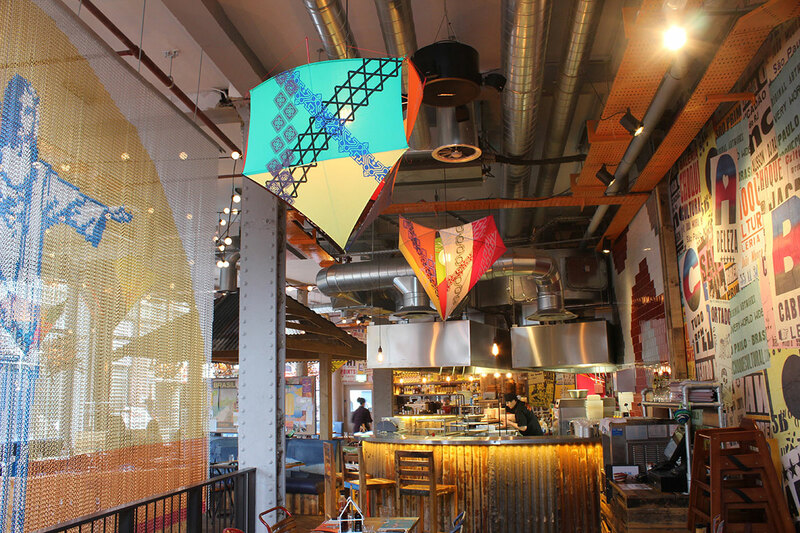 This finally culminated in an art project to create bespoke lampshades for the restaurant made by artisans in Brazil. It just so happened that I had some people in mind who just might be able to create something really original. 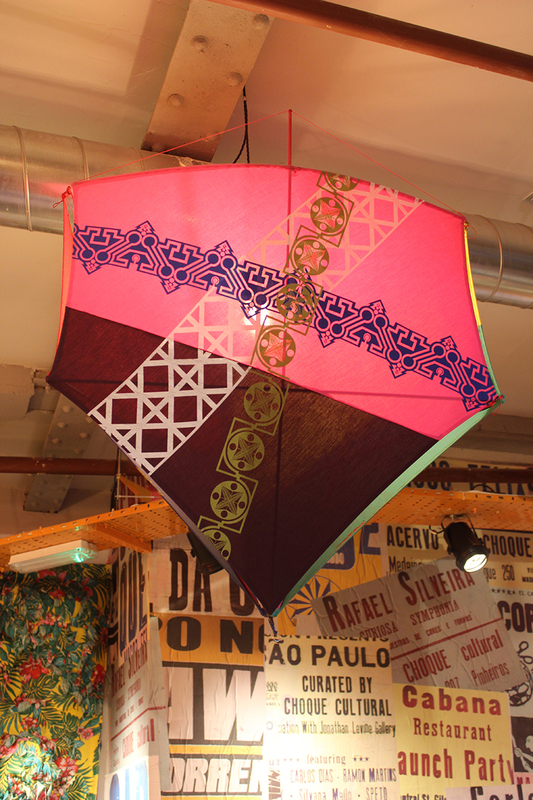 A small team in knew based in Sao Paulo were producing beautiful handmade screenprinted kites and the idea came about to see if they could be adapted somehow into large scale lampshades. With this in mind the team set about prototyping the idea and they came up with two bespoke designs which they called the “Carioca” and “Peixinho”. 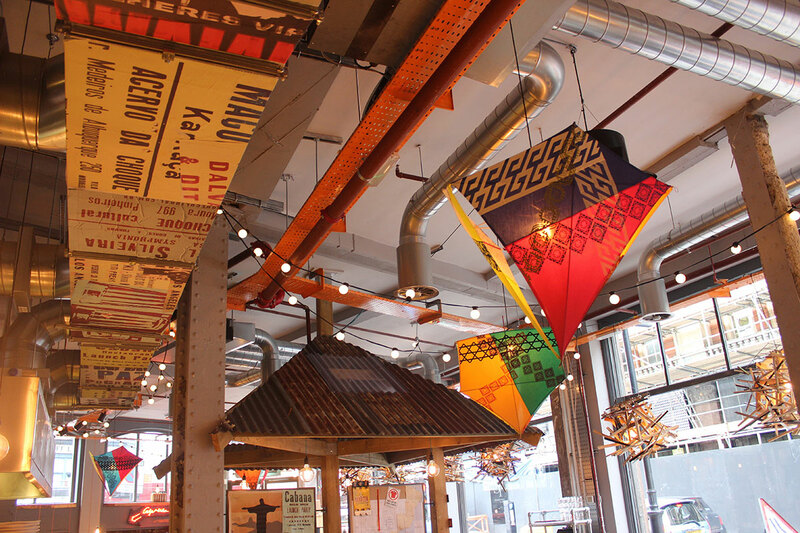 With these two different structures they have since produced a number of commissions for Cabana for their sites in Brixton, Manchester and Newcastle – each shade different to another with different combinations of pattern and colour. These shades have now become part of the look and feel of Cabana and are currently not available anywhere else!